If you’ve ever seen a magic show, chances are you’ve been tricked. But science says it’s not as special as we think. Magicians like Dynamo are fooling their audience members in a very simple way – by causing them to blink at the right time. Apparently, one of the oldest tricks in the book is first relaxing members of the audience. It makes them lose concentration and fail to spot ‘secret actions’. But psychologists have learned that the key reason this strategy works is because relaxing the audience’s attention leads people to blink and miss key points in the show. So just as Dynamo is setting up his next trick, most of our eyes are closed. A study – co-led by a member of the Inner Magic Circle – proved this. Participants were told to watch a clip of world-famous magician Teller performing a coin trick in which he makes them appear from thin air. During the illusion, Teller carried out several ‘secret actions’, which were apparently found to coincide with participants blinking. Never mind the magic, getting people to blink at the right time sounds more impressive. So how do magicians do it? Well, they kind of don’t. Psychologist Professor Richard Wiseman, a former professional magician and member of the Inner Magic Circle, who co-led the research, explained it to The Mirror. Magicians know when audiences are allowing their attention to dip and that’s when they do secret things that are likely to go unnoticed. What’s surprising, and what even magicians didn’t know, is that the majority of the audience are blinking at those precise moments. So they don’t actually make us blink on purpose, they just set up a trick when our attention is at it’s lowest, and the blinking comes with it. 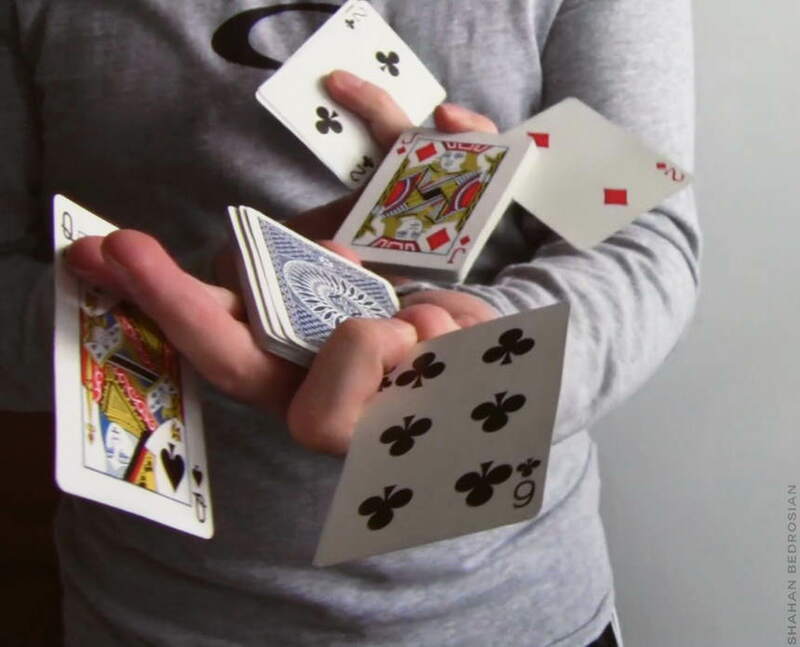 Wiseman added that a common tactic among magicians is to set up a trick at the end of the previous one – that’s when the audience’s attention is slipping. So, if you want to catch out an illusionist, your best bet is to pay attention then. Maybe Dynamo should have thought of that when his trick went terribly wrong at the O2 Arena in London. Poor guy.